This week was the week of CES. Plenty of things in tech showed up, but surprisingly, not that much was interesting. Anyway, welcome to the second week of January, in tech. The Verge reported on the LG roll-up TV shown at CES this year. What is the purpose of this? Sure, it looks nice, but it’s still a TV in a place where a TV would go. We don’t save any space, it doesn’t make it any more portable… I just don’t get the point. If you ask me, I think it would make a lot more sense to roll down from the ceiling, than up from the floor. Aesthetics are nice, but I want my fancy tech to be functional, not just another liability. Clearly it was far too creepy to just let random delivery people into your home, so Amazon figures your carhold might not be so invasive. According to the Verge it’ll cost you over $200 to get the basic setup to get this service. At that point, why not just buy a delivery mailbox? Perhaps that dryer you ordered might only fit in the carhold, but $200 could buy a pretty big delivery box without letting randos into your carhold. USA TODAY shows us that virtual reality training is finally becoming a reality. At CES, a virtual reality hockey trainer was demoed. It didn’t teach people how to skate, but it did help people learn some stick handling skills. This is a really cool start to the amazing things virtual reality might be able to accomplish in the not so distant future. Think about it. How awesome would it be to practice boxing at home and get feedback from your computer? And Amazon Finally Launches An Ad Supported Streaming Video Service. IMDb now has an ad-supported video service. So, for those of you who don’t have Amazon Prime, you might just be able to manage your TV fix via IMDb. This is some old news, but I thought it was pretty cool. Nola reported that Saltwater Brewery came up with a solution to the damage that plastic rings from six packs cause birds, turtles, and other animals. It’s a simple and ingenious response really, just make the rings out of something that’s not harmful to the environment, or even possibly beneficial. Their solution was to make the rings out of wheat and barley. Not only are these rings biodegradable, but wildlife can safely consume them. Daimler, Tesla, and TuSimple are trying to automate our massive cargo transportation network of drivers. Tesla is testing about as Tesla always does, but trucks are not even one of their top three priorties. Daimler has been making gains in the assisted driving market. While they are aiming for fully autonomous, the current trucks they have will make it much safer for drivers with features like lane centering, automatic emergency breaking, and it will even pull off the the side of the road and stop if the driver keeps his hands off the wheel for too long. TuSimple, however, already has fully autonomous vehicles in the works. However, these vehicles are not autonomous in the idea that you just tell the truck to go wherever. While they are autonomous, they can only travel in limited carefully mapped areas. Hyundai is building a transformer. This is a car, that can fold it’s wheels out into legs and start walking around. Wow, we’re finally here. 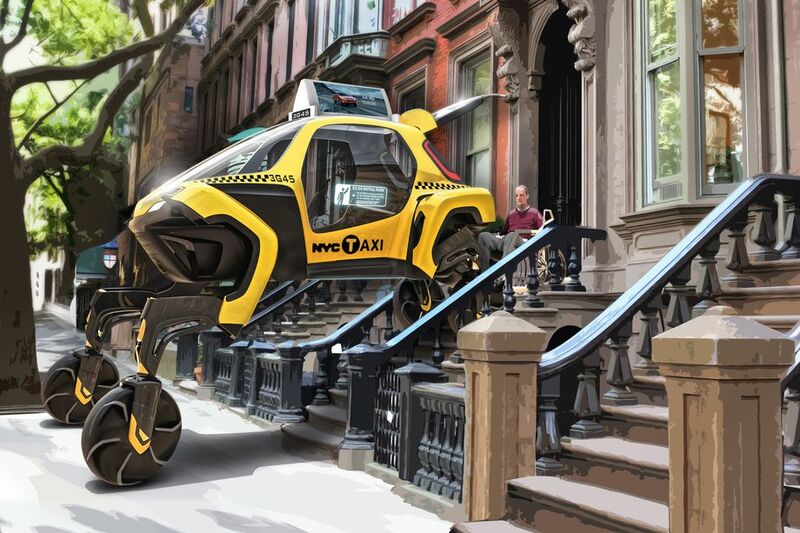 For the usecase as shown in this picture, it could be a taxi that climbs up some stairs to help someone living in a wheelchair into the vehicle. This is likely just a concept project that will never see the light of day in the day to day city life, but traversing rough terrain, other planets, or even, depending on scale of the device, through small caves… this could be an interesting solution. 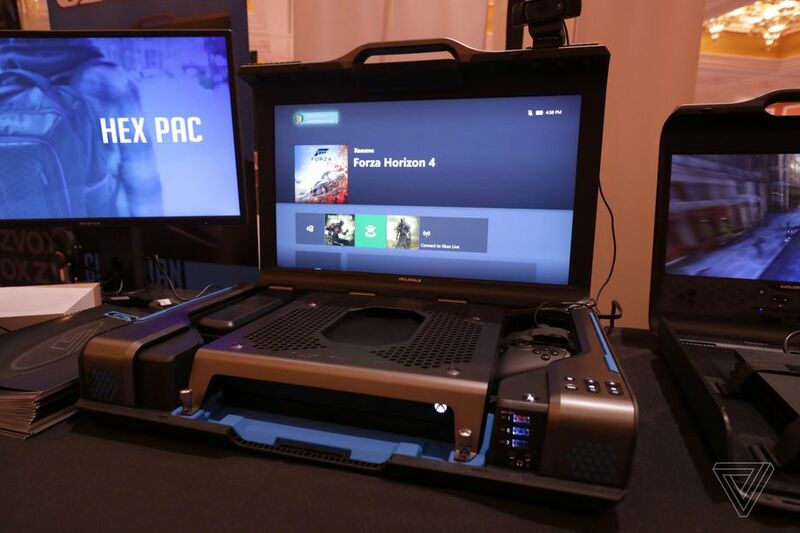 And check out this crazy briefcase gaming computer. That’s right. Commercial briefcase computers are a thing now. This is a case that is designed to take in modern consoles or PC’s on the go. What a world. Well that’s about wraps it up for the second week of January 2019. It’s going to be an interesting year.